This is Online Job portal. Here candidate can do registration and apply for available jobs. Employers or job owner can also register here and they can post their job requirement on portal. For particular post, job owner will get notification and request from candidate, here job owner has rights to accept or decline that request. Administrator will control over job owner's post where to display post or remove post from job portal. This website is perfect Online Job Portal. 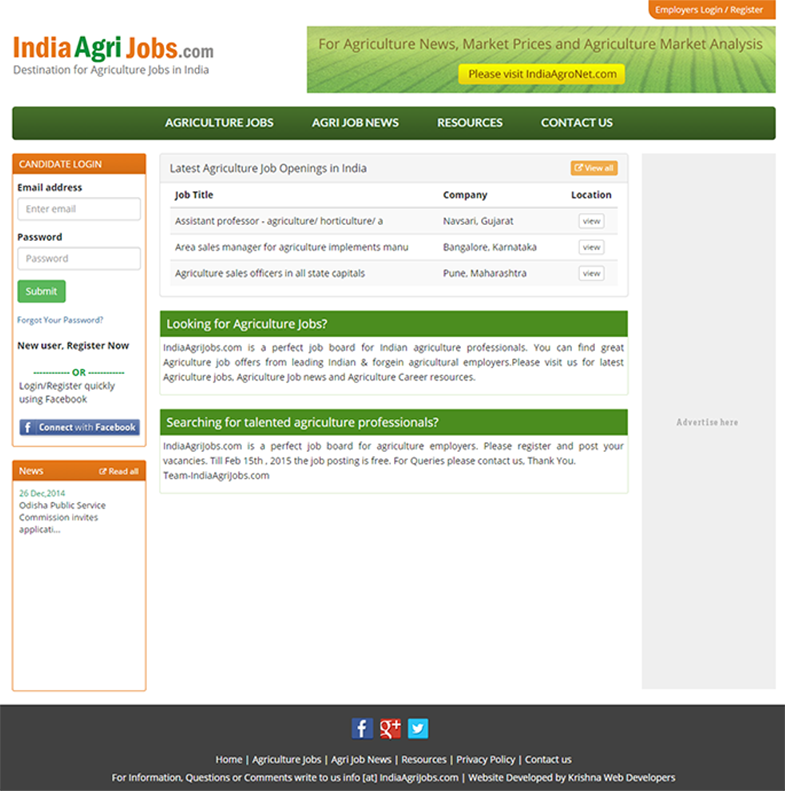 IndiaAgriJobs.com is a perfect job board for Indian agriculture professionals. You can find great Agriculture job offers from leading Indian & foreign agricultural employers.